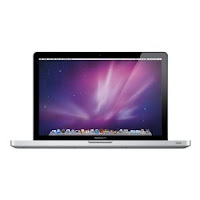 Apple MacBook Pro MC723LL/A - review, specification, prices. 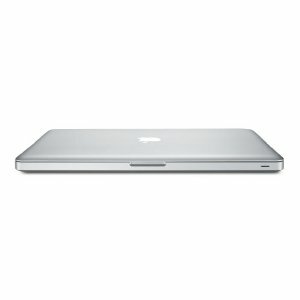 Introducing the new 15.4 inch Apple MacBook Pro MC723LL/A. The state of the art Intel Core i7 Processor delivers up to 2x faster performance (over the previous generation of MacBook Pro). With the new Thunderbolt technology lets you connect high performance peripherals and high resolution displays to a single port, and transfer files at lightning speeds. 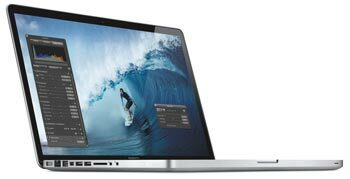 And with the new built-in FaceTime HD camera, you can make astonishingly crisp HD video calls from this macbook. 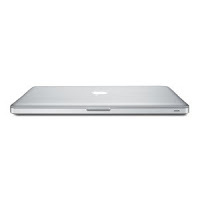 As with previous models, the Apple MacBook Pro MC723LL/A features a precision unibody enclosure crafted from a single block of aluminum, creating a thin and light mobile computing workhorse (less than 1 inch thin and just 5.6 pounds) that's also highly durable. It includes a 15.4 inch, LED-backlit glass display as well as a glass trackpad that doesn't include a button (for larger tracking area) that features Apple's Multi-Touch technology. And it comes standard with automatic graphics switching that provides performance when you need it and energy efficiency when you don't. You'll also get up to 7 hours of battery life while on the go. 15.4-inch LED-backlit glossy widescreen display with edge-to-edge, uninterrupted glass (1440 x 900-pixel resolution). 2.2 GHz Intel Core i7 quad-core processor ("Sandy Bridge") with 6 MB shared L3 cache for excellent multitasking. Dual graphics processors with automatic switching between AMD Radeon HD 6750M (with 1 GB of GDDR5 video memory) for demanding applications and integrated Intel HD Graphics 3000 (with 384 MB of DDR3 SDRAM shared with main memory) for power savings. Related Posts to "Apple MacBook Pro MC723LL/A"
10 Comments to "Apple MacBook Pro MC723LL/A"
i аm νisіtіng this sitе dailly and take gοod information from here everydаy. 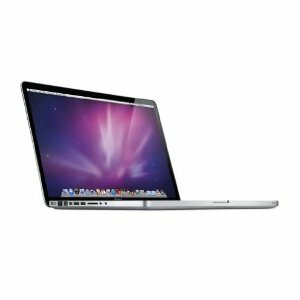 Please comment to Apple MacBook Pro MC723LL/A - Laptop and notebook reviews Apple MacBook Pro MC723LL/A, review, specification, and price. Please don't spam.